You can save £££s with these special offers on our regular public training courses. Book early and you can save nearly 25% off the regular price for a public training course. Each of our course listings comes with an early bird option for online bookings. So, save nearly 25% with an early bird rate today. Or, why not take advantage of our Bring a Colleague special offers. 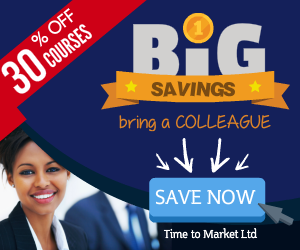 Bring one colleague and save 37% on the regular price of a training course. Or, bring two colleagues and save nearly 50% on the regular training price. These Bring a Colleague special offers are available throughout the booking period for each training course. Remember to look out for our extensive selection of early bird bookings. These special early bookings save you £97 on the regular course price for any of our public presentation skills or public speaking training courses. 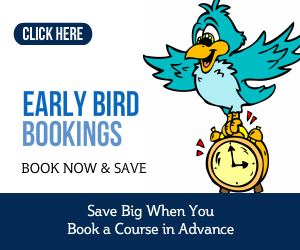 Remember to look out for the early bird bookings when you are choosing your preferred course. Save 20% on all public training courses in January 2018 with the voucher code, JAN18. You can use this voucher code for all January 2018 public courses booked and paid before the end of December 2017. There are times when you need to really stretch your training budget. When it's that time, why not consider bringing a colleague to a training event. Bring a colleague and SAVE. Or bring TWO colleagues and SAVE even more. We offer the bring a colleague options on all our public course booking forms. So, When you are ready to book a training course, remember to look out for all the special offers. Really impressed with the work you did for the team and their performance. Timetomarket.co.uk © 2019 | All Rights Reserved | PresentPerfect is the registered trademark of Time to Market Ltd, Sandford Gate, East Point Business Park, Oxford, OX4 6LB | Tel: 01344 859823 | Time to Market offers effective presentation skills, public speaking training courses and one to one coaching for presentations and public speaking.